Ok, so coffee beans are little power houses of solar energy. 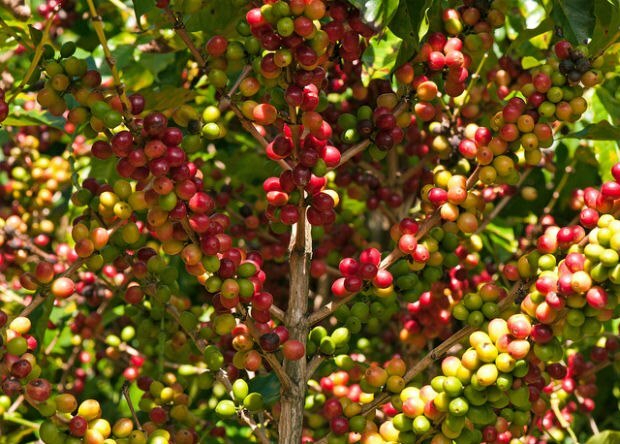 The coffee plant, an evergreen shrub, soaks up the sun and imparts the little beans with amazing energy... I think they call that caffeine! So, with the snow cascading down around me and my home, yet again.... (I do love winter, just not anymore this year! ), I can not help but think about that iced coffee drink. The summer coffee drink I taunted you with in my article on getting rid of the coffee's acid reflux effect. I have had many requests for the recipe, SO, I have decided in my "wishing it was summer and I was playing outside in the sun" mood, I would share it with everyone. First things first: make yourself a batch of cold brewed coffee. I made a gallon of this liquid! Yikes, I don't even drink coffee on a regular basis! 1. Grind your coffee beans and use 1/3 cup of coffee grounds to every 1 1/2 cups of water. 2. Put the coffee grounds and water into a wide mouth canning jar. You can do 2/3 of a cup of grounds and 3 cups of water in a quart jar. Or make a bigger batch in a half gallon or gallon sized jar. Whatever amount that you do not freeze into cubes, just refrigerate and use within 2 weeks. Simply warm it up and use like fresh, hot brewed coffee. 3. Allow coffee "tincture" to soak over 24 to 36 hours. I shake it up whenever I pass by the jar in the kitchen. 4. Strain, after tincturing, into a clean jar. 5. Fill ice cube trays and freeze. Caution: If you have a self-defrosting fridge, keep a close watch on these precious coffee cubes. Get them out of the trays and into a sealed freezer bag as soon as they freeze. Otherwise, the freezer will defrost them right out of the trays. This is not good! Organic, fair trade, shade grown coffee is liquid gold, Fun-Shine, that needs to be protected! Coffee cubes freezing away next to my Kent Family Grower's cherry tomatoes and red peppers and my Martin's Farm Stand strawberries! 1. Take 4 to 6 coffee ice cube and place in a blender. Each cube is 2 tbsp., so 4 cubes is equal to one 8 ounce cup of coffee. 2. 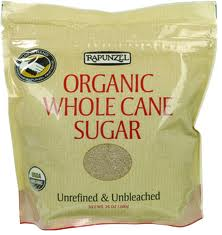 Add one cup of whole, organic milk. You can also use your favorite non-dairy milk substitute if you avoid the milk from lactating cows, goats, sheep, elk, yak, or other mammals. Want a recipe for nut milk? Email me. 3. Add 1/2 tsp. pure vanilla extract, the real stuff. 4. Add a pinch or two of cinnamon OR the coffee acid reflux spice mix. 5. 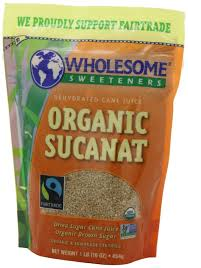 If you like sweetened coffee... add to taste maple syrup, raw honey, or unrefined brown sugar (Sucanat or Rapadura). 6. 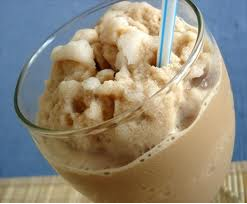 Blend quickly to crush up the coffee ice cubes but retain a fine, chunky texture. 8. Head outside and sit in the sun or under your favorite shade tree. Sip and enjoy, forgetting that snow will fall again... someday! PS The coffee cubes, double bagged and awaiting summer sun & fun!